DENVER – Jennifer Gaydosh has spent her entire professional career working at Rose Medical Center. She serves as the director of telemetry for the hospital, working with patients who have cardiac issues. Gaydosh spends a lot of her time educating people about the signs and symptoms of heart disease. Both Subbarao an Gaydosh say people have a lot of excuses for why they choose not to get checked out. Many of their patients have busy careers and families to care for. Some write off the symptoms of a heart attack to things like indigestion or normal aches and pains. But last year, Gaydosh had a huge reality check when she experienced her own heart attack. “I woke up at about 2 a.m. on a Saturday morning with burning pain down my left arm. I was sweaty, I was nauseated, I was pale, so I did the right thing and I got myself to the emergency department,” she said. However, her blood work and exams came back as normal, so she went home. Doctors told her that if she experienced more symptoms, she could come back. Then that Tuesday, she woke up once again in the middle of the night with the same pain. Instead of going to the hospital, though, she went about her day as normal. “I said, ‘Oh I was just in the hospital. I was cleared, they said I was fine, I must have just slept on my arm funny,'” Gaydosh said. The pain in her arm continued for 36 hours straight – until a colleague urged her to check herself in to the hospital once again. Gaydosh is young and healthy. She watches what she eats, is a self-described fitness fanatic, is skinny and constantly eats healthy foods. She had no risk factors, her blood pressure was good; she has low cholesterol and is overall a very healthy person. 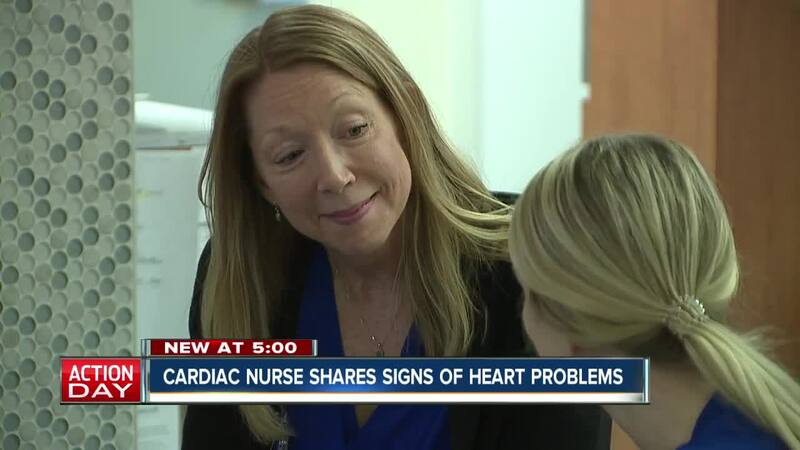 Still, as a nurse she knows that heart attacks can happen to anyone. “You can still have a heart attack,” she said. Gaydosh suffered from a spontaneous coronary artery dissection, also known as a SCAD. It’s a relatively rare form of heart disease that mainly affects middle-aged women and those who just gave birth. “Jennifer’s case is a really rare form of a heart attack in that there was a tear in the artery,” Subbarao said. Now, she’s using her story as a teaching moment, hoping others will learn from her health scare. She’s also learned quite a bit about why patients sometimes choose to write off their symptoms since she did it herself. Meanwhile, Subbarao says he wants more people to be aware of the signs and symptoms and he’d like to see education and prevention start at a younger age – particularly in women. Subbarao has a rule of two’s. He says people should work out for 200 minutes a week, have cholesterol of less than 200, have a body mass index of less than 25 and a blood pressure of less than 120 to keep themselves as healthy as possible and help prevent heart attacks.